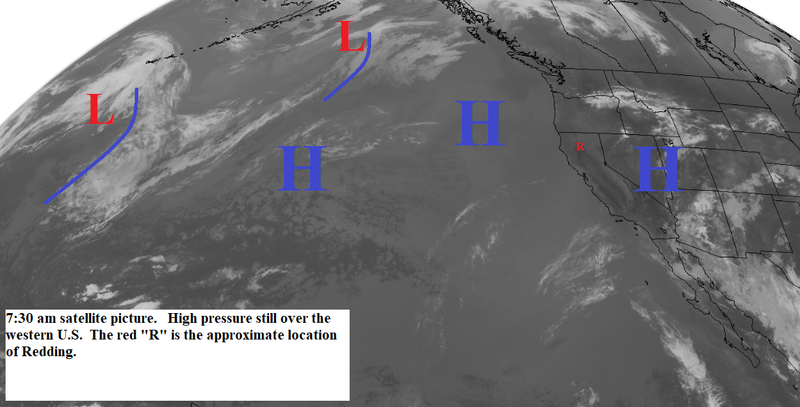 High pressure is still over our area, but the monsoonal moisture that fueled the mountain thunderstorms of the past few days has moved east. The map below shows little change for the next week. Today through midweek the inland areas of Northern California will be sunny and hot with high temperatures 6 to 12 degrees above normal. Thursday through Saturday another batch of sub tropical or monsoonal moisture will be pulled northward and this will result in isolated mountain thunderstorms.